Who will be this year's Vikings? 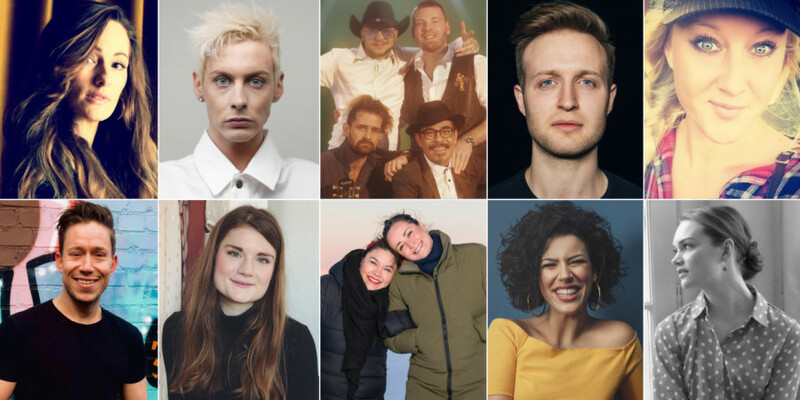 The Danish broadcaster Danmarks Radio (DR) has just revealed the 10 artists and songs for Melodi Grand Prix 2019. Bookmakers' oddsOdds: Who will win Melodi Grand Prix 2019? Jasmin Gabay – "Kiss Like This"
Rasmus Faartoft – "Hold My Breath"
Marie Isabell – "Dancing with You in My Heart"
Sigmund – "Say My Name"
Humørekspressen – "Dronning af baren"
Julie & Nina – "League of Light"
Teit Samsø – "Step It Up"
Leonora – "Love Is Forever"
The national selection in Denmark will take place in Boxen in Herning on 23 February 2019 with 10 competing acts. The 10 songs have been selected by a committee set up by DR. Among the 31 songwriters for this year's 10 songs, there are some names that maybe ring a bell: Lise Cabble (Denmark 1995, Denmark 2011, Denmark 2013) is co-writer on three songs: "Kiss Like This", "Love Is Forever" and "Step It Up". John Ballard (Azerbaijan 2013, Russia 2014, Russia 2016, Greece 2017, Moldova 2018), is one of the lyricists behind the song "Dancing with You in My Heart". Tim Schou represented Denmark at Eurovision 2011, and is one of the guys behind the song "Hold My Breath". Melodi Grand Prix 2019 will be held in Boxen in Herning on 23 February 2019. The winner of the show will represent Denmark at Eurovision Song Contest 2019 in Tel Aviv. Hosts are Kristian Gintberg and Johannes Nymark (part of Lighthouse X, Denmark 2016). Denmark 1963: Grethe & Jørgen Ingmann - "Dansevise"
Worst result was in 2002 (last). Since the introduction of the Semi-finals in Eurovision in 2004, Denmark has qualified for the Grand Final 11 out of 15 times.